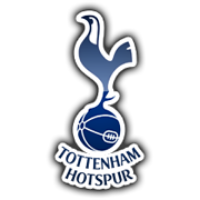 Follow text commentary of Tottenham Hotspur vs Arsenal live score in the Premier League. Kick off is set for 12:30 pm GMT. That though brings an end to todays coverage of the North London Derby. I have been Brandon Sayer taking you through the game but until next time, have a good day. Arsenal will feel really hard done by to not win this game as Kane was offside for the incident that led to the penalty he scored. That is Spurs first draw of the season. 90+6' - The referee blows his whistle to end the game at Wembley. Tottenham Hotspur 1-1 Arsenal. 90+5' - Torreira receives a red card for a high challenge on Danny Rose. 90+1' - The referee has decided to add on five minutes at the end of the second half. 90+1' - Penalty missed! Aubameyang sees his spot kick saved by Lloris, what drama. 90' - Penalty to Arsenal! Sanchez fouls Aubameyang in the box and the referee points to the spot. 84' - Llorente receives a yellow card for a tackle on Koscielny. 79' - Tottenham Hotspur substitution: Llorente replaces Son. 74' - Goal for Spurs! Kane scores the equaliser. The Spurs captain stepped up to take the spot kick and confidently sent the keeper the wrong way to score the equaliser. 73' - Penalty to Spurs! Mustafi fouls Kane in the area and the defender receives a yellow card for his trouble. 72' - Arsenal substitution: Ozil replaces Aaron Ramsey. 69' - Danny Rose receives a yellow card for a very late tackle. 63' - Lamela receives a yellow card for a late tackle on Xhaka. 59' - Tottenham Hotspur substitution: Lamela replaces Wanyama. 58' - Mkhitaryan receives the first yellow card of the game for a deliberate trip on Harry Kane. 56' - Arsenal substitution: Aubameyang replaces Lacazette. 55' - Spurs almost punish Lacazettes miss as Alderweireld volleys a strike into the side netting from a Eriksen free-kick. 53' - What a chance for Lacazette to make it 2-0! A brilliant passage of play ends with Monreal finding Lacazette in loads of space in the box but the forward put his strike over the bar when he really should have scored. 46' - The referee blows his whistle to begin the second half. Game on! Arsenal have made a change at half-time as Torreira replaces Guendouzi. Pochettino will have to have a word with his players at half-time to turn this game around or face a third straight defeat in the league. What will happen in the second half? Stay tuned to find out as we bring it to you live in a few minutes time! Arsenal are very good value for their half-time lead here at Wembley. Ramsey scored the goal after a terrible mistake from Sanchez. Spurs only started to threaten the Arsenal goal just before the break. 45+1' - The referee blows his whistle to end the first half. Tottenham Hotspur 0-1 Arsenal. 45' - The referee has decided to add on one minute at the end of the first half. 44' - What a save from Leno twice! Spurs finally create their best chance of the half as a great pass from Kane found Eriksen who saw his shot saved by Eriksen, then on the follow up from Sissoko the keeper somehow managed to get a hand to ball to keep the ball out of the net. That was much better from the hosts. 41' - A brilliant counter attack from the visitors ended with Iwobi forcing Lloris into making a very good save to keep the score to 1-0. 39' - Vettonghen sees a strike from the edge of the box go just wide of the goal. 31' - Spurs are now starting to grow into the game in the last five minutes as Eriksen drags a shot wide of the goal from just inside the box. 24' - Goal No! Kane puts the ball into the back of the net with his head from a free-kick from Trippier but the linesman correctly raised his flag for offside. 16' - Goal for Arsenal! Ramsey gives the visitors the lead. Lacazette capitalises on a mistake from Sanchez to play Ramsey through on goal with the midfielder taking the ball around Lloris to open the scoring in such a big game. 13' - The visitors have started really well so far and look sharp going forward, while Spurs are struggling to get their game going just yet. 2' - What a chance for Lacazette! A deflected pass from Iwobi found its way through to Lacazette in space in the box but the forward dragged his shot wide when he should have been hitting the target. 1' - Referee Anthony Taylor blows his whistle to begin the game at Wembley. Game on! Tottenham Hotspur substitutes: Gazzaniga, Aurier, Davies, Skipp, Lamela, Lucas, Llorente. Arsenal substitutes: Cech, Maitland-Niles, Kolasinac, Torriera, Suarez, Ozil, Aubameyang. Tottenham Hotspur starting XI: Lloris (C), Trippier, Alderweireld, Sanchez, Vertonghen, Rose, Wanyama, Sissoko, Eriksen, Son, Kane. Arsenal starting XI: Leno, Mustafi, Koscielny, Sokratis, Monreal, Guendouzi, Xhaka; Mkhitaryan, Ramsey, Iwobi, Lacazette. Live commentary will continue one hour before kick off as we bring you the team news. "Matches like tomorrow, the players know it’s important because we have a chance for three points to move in the table and it’s special for the supporters," said Emery. "We are speaking about the opportunity [on Saturday]. We were 10 points behind two weeks ago and tomorrow that could be one point and we are going to play together. It is a big opportunity for us to play with confidence in our moment." "We know very well what it means to play against Arsenal. We know that we’re going to be very motivated and we’ll have a team in front that is very motivated too." As for the Gunners, Laurent Koscielny and Stephan Lichtsteiner have both returned to full training following their respected injuries. Jan Vertonghen and Harry Winks are set to undergo late fitness tests as the pair both are said to be suffering with hip injuries. Spurs will remain without Dele Alli who is continuing his rehabilitation following the hamstring injury picked up against Fulham. Eric Dier will also miss out after struggling with tonsillitis. The game has certainly provided some classic meetings over the years but this time around there are huge stakes on the line. Spurs' recent slip up has allowed the Gunners to make up some ground - a win for Unai Emery's men would see them move within a point of the Lilywhites. 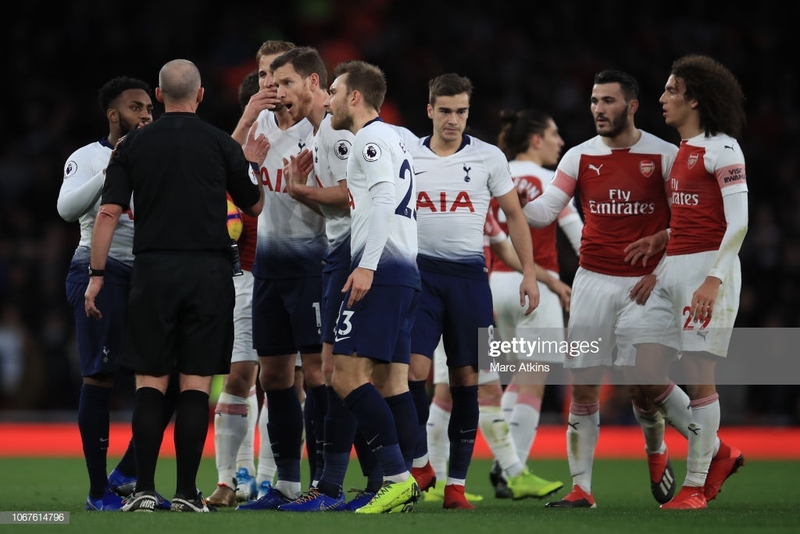 However, later on in the month, the two sides met against in the Carabao Cup quarter-final in which Spurs progressed after a 2-0 victory thanks to goals from Heung-min Son and Dele Alli. The rivals have already met twice this season. In early December Arsenal recovered from a 2-1 deficit at half time to ride out as 4-2 victors in the pairs Premier League match up. Tottenham's defeat at Stamford Bridge was a tough one for Mauricio Pochettino to take due to the nature of the defeat. A gutless display from the Lilywhites and the first game under Pochettino in which Spurs were unable to lodge a shot on target. 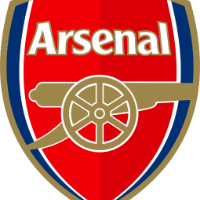 Whereas, the Gunners have been sailing in recent weeks and secured a huge 5-1 victory over A.F.C. Bournemouth on Wednesday night. The two sides come into the game with contrasting form. Spurs have struggled over the past two games with defeats against Burnley and Chelsea. Hello and welcome to VAVEL UK's live commentary of the north London derby between Tottenham Hotspur and Arsenal from Wembley Stadium.